I’m so late to the Sarah Waters party, the one where critics recognise her as being one of the best storytellers of this generation. I’m cringing as I write this, but I was totally put off Waters by a TV adaptation of her novel, Tipping the Velvet, which I found to be bloody awful, mostly because of the wooden acting from the girl playing the main role. This is an insane reason to shun an author, they have no say (I think) on who is cast in adaptations of their work, and boy have I been missing out. Last year I was interested in country house novels, and someone recommended The Little Stranger to me. Written by Waters in 2009, it’s set in the late 1940’s when many English stately homes were facing decline. I haven’t been so addicted to a novel in ages, I was reading this long in to the night even though I knew I had to be up early. It was all totally worth it, I’m still thinking about this book months on, and any time someone asks for reading recommendations I start expressing my passion for this like some kind of book lunatic. I had no idea The Little Stranger was a supernatural tale, it might have put me off, scaredy cat that I am, but it’s so much more than ghosts – this house is haunted by regret, envy, fading fortune, and rejection. A lower-middle class doctor worms his way into an upper class family living in a stately home, and a series of deeply unsettling events occur. It’s powerful stuff, and unsurprisingly has also been adapted for screen – a film version is out this year. I’d definitely recommend reading before looking at the cast list. I will reserve judgement after being so hasty last time, but let’s just say some of the casting choices are a bit odd after having read the book. After some enthusiastic ravings about The Little Stranger, Sarah Waters’ publishers very kindly sent me three other titles to (hopefully) get excited about. 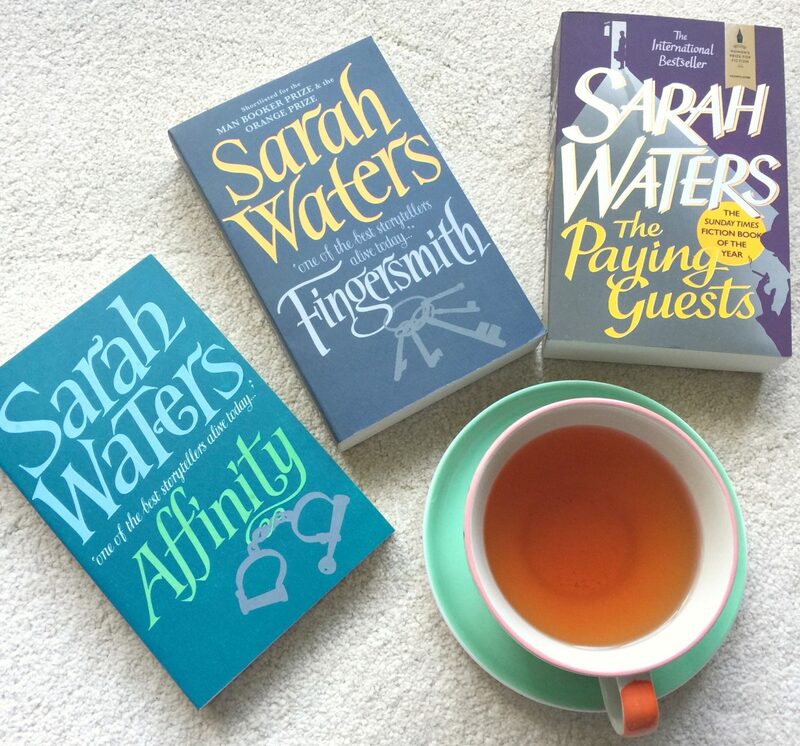 I’ve practically inhaled Affinity, being the shortest one they sent, and I’m half way into The Paying Guests. Waters’ writing is so engaging, it’s no wonder critics love her – you hang on every word, and her conveyance of imagery seems so effortless. I should have mentioned that Waters is a historical novelist, and there’s an incredible amount of research that goes in to making each book both realistic and revelatory. I was gobsmacked by some of the things in The Little Stranger, the very least being that everyone in the 1940’s, no matter what their social class was, had to pay to have a doctor come to their house before the NHS and health centres existed, but also Waters’ research into the occult and poltergeists is impressive. Affinity is a similarly gripping and spooky tale about a Victorian spiritualist, whilst The Paying Guests is a 1920’s crime story that has me hooked. Although Waters is a mainstream author, when I hear other book bloggers and readers talking about her she still gets pigeon-holed as an LGBT writer a lot of the time. Whilst there’s themes of lesbian relationships in several of her novels, there’s much more to them than being ‘LGBT issue’ stories, though of course it’s interesting and unusual to read about gay women in Victorian times and other eras. The combination of historical research and exciting storytelling makes Sarah Waters my new favourite novelist. I honestly cannot recommend her enough, though you’ve probably already been loving her work for years. 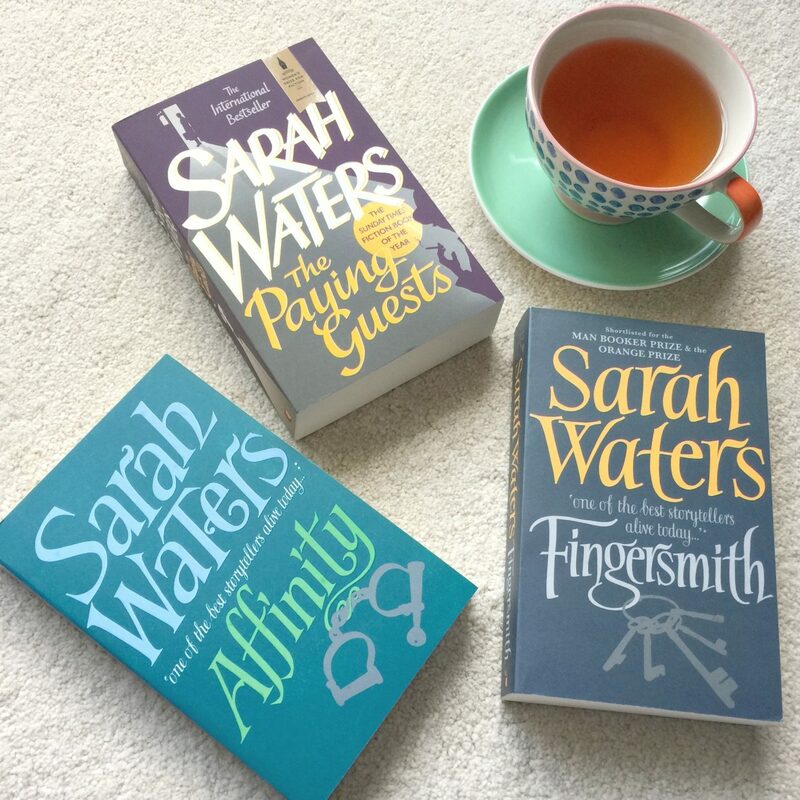 I’m a huge fan of Sarah Waters’ books, too. The Little Stranger was a good story. It’s actually what I recommend that people read first if they’re not familiar with this author at all. I’m looking forward to seeing it on the big screen this upcoming summer. (Did you know that it’s being made into a film? Your post didn’t make that clear). Yes I mention the film in the first paragraph, and recommend people read the book first! 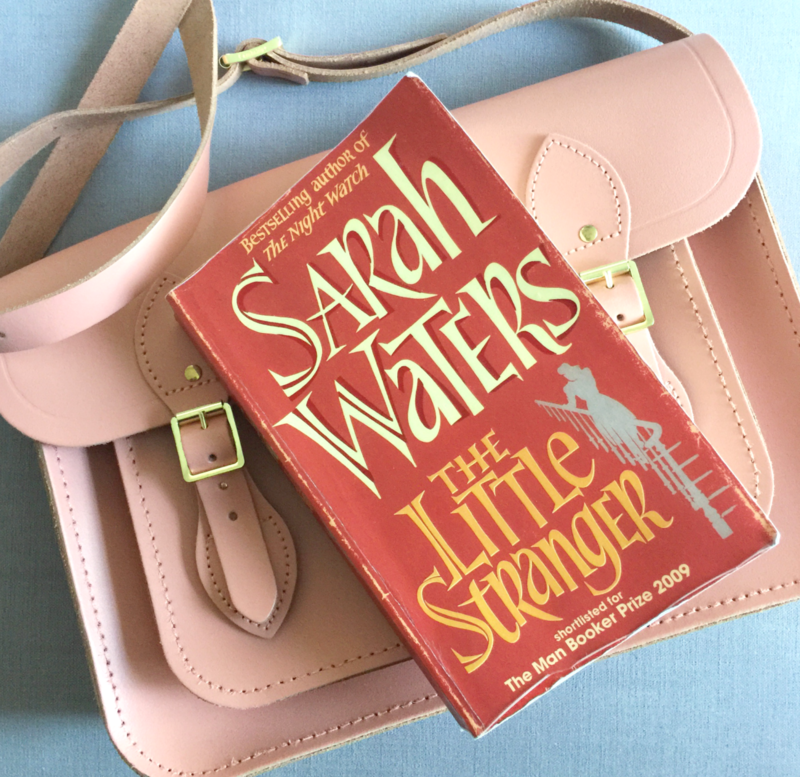 I’m glad this was my first intro to Sarah Waters, but loving all her work so far. I’m so addicted to it at the moment!